Visiting the Battersea/Nine Elms area, it’s clear money has been invested to improve and accentuate the area and therefore compete with neighbouring Kensington and Chelsea. Battersea Exchange sits back from Battersea Road, a pedestrianised area connected to the neighbourhood through various walkways, which include a West-East and a North-South axis. Taylor Wimpey has done well not to make this as overpowering and intense as other new builds in the area, and its careful design responds well to the existing local character. 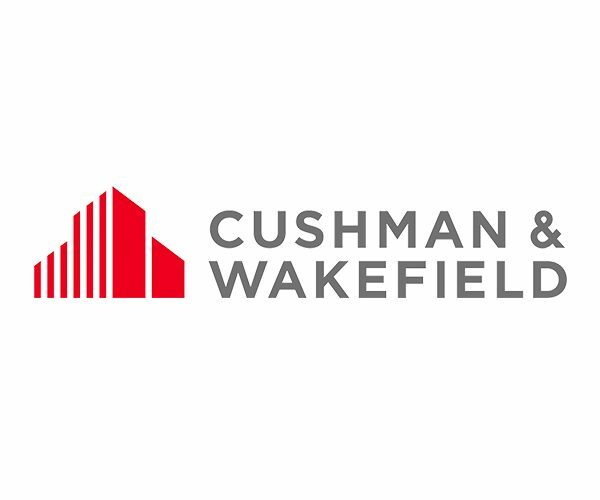 Furthermore, the company has worked with the community to provide a new and improved primary school, and more housing that doesn’t dominate the landscape. Battersea Exchange is home to 290 new-build apartments launched across four phases. Brogan House is the most recent completion, Q4 2018, with the final phase, Park View, estimated to be completing at the end of this year. 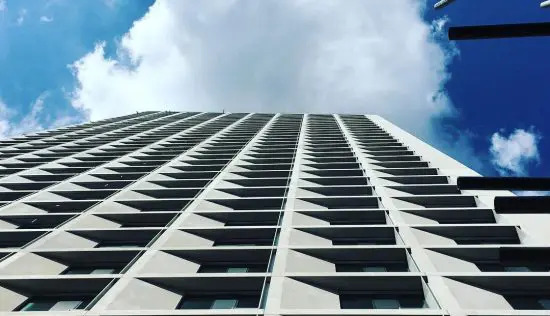 Construction on Brogan House began in 2015, and it’s now home to a primary school, residents’ gym and 24/7 concierge, alongside stylish apartments that range from one bedrooms through to two and three-bedroom duplexes. Taylor Wimpey has maintained the quality it’s known for throughout the buildings, while still allowing each building to have a unique feel and an individual style (reflected in the finish to bathrooms and kitchens). The site’s railway arches will be restored to host varying cafes and shops for residents to enjoy, too – another bid to keep the site aligned with the local community. If you are looking to invest in a transforming and blossoming area, Battersea Exchange is the right place for you. 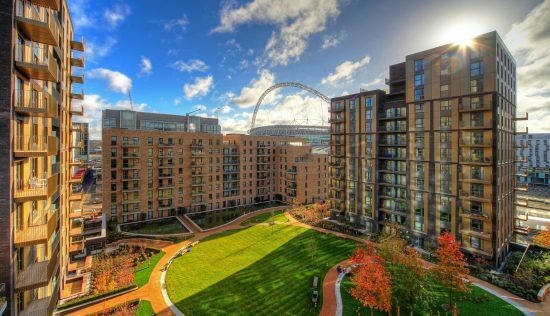 The area’s 42-acre 15 billion-pound project is said to be the most ‘ambitious regeneration project yet’. In this community-led, family-friendly and welcoming environment, Battersea Exchange provides a home that reaps the benefits of regeneration without the downside of living amongst building work for the next 15 years! With the imminent Northern line extension opening in 2020 also, the potential is HUGE! Centrally located in Zone 2, your life is on the brink of the city but still allows you to rest and relax at weekends being only a stone’s throw from Battersea Park. I cannot recommend the location enough, as you can wake up with a run along the river, brunch in one of the many stylish cafes, a wander to the shops in Sloane Square and then an afternoon coffee in Battersea Park, before sampling the evening buzz of local restaurants. Battersea Exchange has been designed with its buyers in mind: location, amenities, education and style. Nice place to live. This is a lovely development, located less than 5 minutes walk from Battersea Park, close to transports and shops. Good building quality, Great sales/customer service. We are very happy with our experience so far. On the negative side, the gym is currently not open 24h as it was supposed to be. Concierge area might be too small when the development will be fully completed. Great Location. Close to Battersea Park with access to two mainline rails stations (Queenstown Road and Battersea Park). For the shopping, not far from Clapham Junction, Sloane Square, King’s Road. Nine Elms Area is in complete regeneration with the Power Station, Prince of Wales and of course Battersea Exchange. None. So far we have not been disappointed and we got all the information we needed during the viewing. We knew the area as we were renting not far away from Battersea Exchange, which helped in the choice of the location. Just a great place to live. It is such a fun area that is seeing so much improvement and no longer can anyone cay Battersea is stuck out on a limb with no transport links. It’s so easy to get to Clapham and everything it offers, yet far enough away to not feel like you are still at university! The development is built well, the flats are absolutely fine and the communal spaces always seem well maintained. The roads outside the building do get very busy, but it is London to anyone complaining. Lovely flat that we have rented this past year, great to have the station on our doorstep and a wonderful primary school. Slight no mans land location but not far to connect to more hustle and bustle of Clapham areas and easy to walk up to the park. Lockington Road becomes an annoyance at school drop off and at the weekend in the winter when they do football club on sunday mornings – all the cars get congested and there isn’t enough turning space and very irritating when it is happening right outside. Whilst Battersea Exchange may be seen as trying to accommodate mainly for London’s young working professionals there are also many aspects of it that suit my family very well. Despite the development itself lacking in green and open space, Battersea Park is around the corner where there is plenty of space to let the children roam with loads of activities to do. For those families with younger children, most buildings have easy step free access, ideal for prams or buggies. Battersea Exchange is also situated in close proximity to many great school, indeed, Newton Prep School is located on the development itself and will be benefiting from an injection into its infrastructure by Taylor Wimpy. The development is focused on regenerating the train arches it runs adjacent too, providing an exciting range of shops and restaurants on the doorstep. I wish I has known that Battersea Exchange operated a no pets policy. However when I enquired further & pushed harder it turned out that all I had to do was ask the management, who eventually approved my request – still frustrating! This is a great NEW location next to the station, near the park and not far from the fun of Clapham high street or Clapham Junction. At the moment there isn’t much right there as they haven’t completed the proposed shops and boutiques under the archways but from viewing what has been done and what is still to be completed there is lots happening here and as someone who has lived in Battersea a long time I think this development is at the heart of a new interesting area, in a location that desperately needed a face lift. 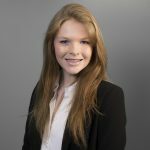 Whilst Battersea exchange may be seen as trying to accommodate mainly for london’s young working professionals there are also aspects of it that suit families very well. Despite the development itself lacking in green and open space battersea park is around the corner where one has plenty of space to let children roam and lots of activities to do. The development is focused on regenerating the train arches it runs adjacent too, providing an exciting range of shops and restaurants on ones doorstep. Along with the fact the scheme includes the building of a series of self contained town houses which looked impressive and spacious judging by the floorpan. However, the gardens for the houses back right onto the train tracks as well as a pedestrian path between battersea park road station and Queenstown road station which as I mentioned before, will be littered with restaurants which will no doubt be busy in the evenings. However the town houses are all only two bedroom and the ease of access to them is also questionable as they do not run along a major road. For those families with younger children I did note whilst walking around the development that most buildings have easy step free access, ideal for prams or buggies .Battersea exchange unfortunately employs a no pets policy, which is a shame given its proximity to such a big park. However when I enquired further it turned out that all one had to do was ask the management if you can keep a pet, who are supposedly more likely than not to approve your request. Battersea exchange is situated in close proximity to many first class institutions for higher learning as well as primary schools. Any prospective students would fine themselves in close proximity to imperial college along with kings college london, and newton prep school is located on the development itself and will be benefiting from an injection into its infrastructure by taylor wimpy. Battersea exchange is an ambitious development which is dwarfed by the scale of neighbouring schemes, therefore in comparison it may be viewed as lesser. The entire development is on relatively sub par site being surrounded by railway tracks and having to encompass a school in its centre. The scheme does take this into account however with its extremely competitive pricing. I was informed by its estate agent that park view had in fact not sold as well as had been hoped by developers therefore has been taken off the market. This is undoubtedly a bad omen as it is supposed to be the jewel of the development with the highest priced flats and penthouses. Whilst there are some apartments in the building that enjoy the view of the park, some have the slightly less green and leafy views and instead look onto the neighbouring housing estate or are level with the train tracks. The lack of parking for residents is also a blow to the scheme, whilst its attempted substitution with zip car is a good effort, it still may be seen by many residents as an inconvenience. The service charge for the scheme is very competitively priced around 2 or 3 pounds per square foot. However the benefits of this are strictly the 24 hour concierge system and the two floor gym. The reshaping of the local landscape gives the otherwise bleak area a nice facelift, however one must question whether this will truly draw people to the site with developments such as battersea park offering far superior attractions. It is impossible to overlook the school at the centre of the development. 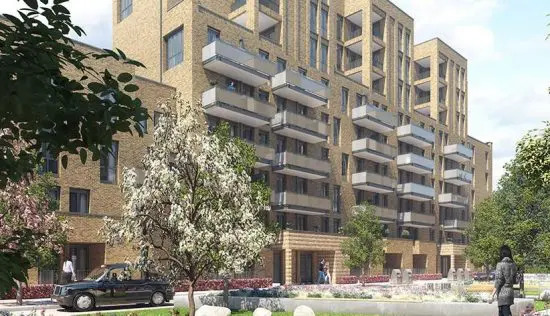 Many residents would immediately be put off by the foot traffic in the morning whilst children are being dropped off and the noise throughout the day from the play ground which many of the apartments in the second scheme look directly onto. The flats themselves are relatively spacious and one has a wealth of choice when it comes to kitchen installations and very high steadier bathroom fittings. However the ceilings are not as high as one may want them to be at 2 and a half metres from the ground. 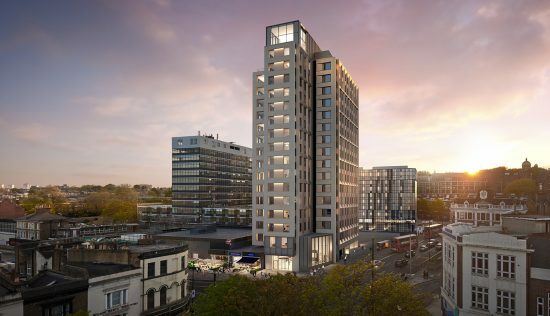 A huge bonus for the development is obviously its proximity to transport links such as battersea park station and Queenstown road station which will be linked via a public footpath thanks to the development littered with restaurants and shops. TFLs new stations in battersea and nine elms will also suit residents of battersea exchange well. 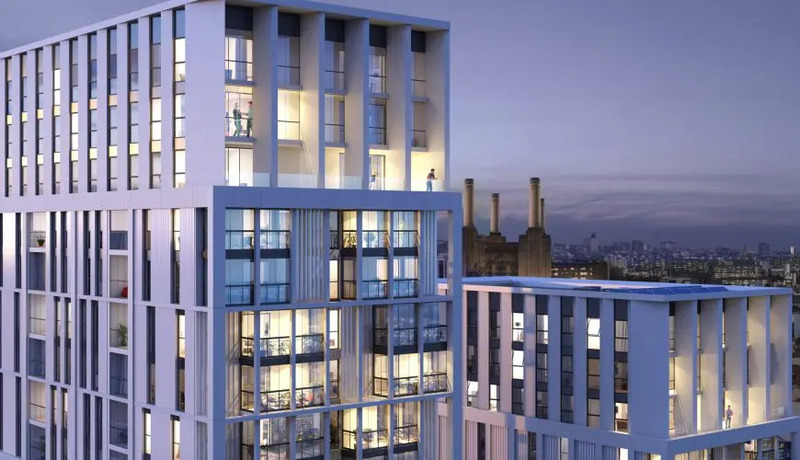 Overall, the development has a fair few drawbacks but its competitive pricing compared to its rivals such as embassy gardens or battersea power station certainly gives battersea exchange an edge. On the outskirts of what are some of the largest developments in London ( Battersea Power Station & Vista Chelsea Bridge), Battersea Exchange seems like a slightly lesser development. Having visited the site I wasn’t particularly keen on the school that was slap bang in the middle of the development which I imagine will cause a lot of noise pollution and congestion at times when I am trying to get to or from work. A major pitfall of the development is its lack of parking which put me off the development completely. They do have a scheme with zip car but I am quite dependant on my car for work. However sometimes that isn’t the case and so Battersea Exchanges proximity to public transport links is also greatly appreciated. It is within throwing distance of Battersea Park Station and Queenstown Road Station (both of which it will be investing into) which have trains running into Victoria very frequently. It will also be within walking distance of Battersea Power Station’s new underground stop which is expected to be completed by 2020. However being so close to public transport links obviously has its drawbacks, Park View (the apartment building on the edge of the plot) is right opposite the train tracks and is therefore probably subject to a lot of its noise. Despite it having triple glazed windows I was advised by the estate agent to purchase a flat well above the tracks in order to get a good view of the park and to not be so burdened by the trains. Battersea Exchange does have a 24 hour concierge service provided by Savills and a two floor gym which looked impressive and spacious judging by the model. Battersea Exchanges imposing structure sits on the periphery of the Nine Elms regeneration area, housing a collection of one, two and three bedroom apartments, duplexes, mews houses and townhouses. Developed by Taylor Wimpey and designed by Feilden Clegg Bradley Studios, this development is sure to attract buyers looking to invest in Nine Elms, while looking for a reasonable price tag. At around GBP952 per square foot, this is a good deal under the GBP1,608 average for SW8. Battersea Exchange has paid close attention to its surrounding streetscape and the mirrors a lot of the brick detailing found on adjacent railway arches and industrial buildings, giving polish to an area that has donned its work clothes for a long time. Located at the corner of Queenstown Road and Battersea Park Road, there are plenty of rail links connecting you to major stations like Waterloo and Victoria. The much anticipated extension of the Northern line in 2020 to Battersea Power Station and Nine Elms will make this area of London even more accessible, providing easy links to the West End and Kings Cross. The green space of Battersea Park is just 100 metres from Battersea Exchange, which will appeal to families in particular, and Clapham Common is also a short bus ride away. Battersea and Clapham are known for their cafe culture, while upscale shopping and fine dining can be found in nearby Sloane Square and Kensington. Residents who enjoy keeping fit will benefit from an onsite state of the art gym (for private residents only), and theres secure cycle storage for bike owners. Whats more, a round the clock concierge service means that time poor buyers can enjoy a helping hand when needed. Although some of the surrounding developments in Nine Elms may boast more extensive facilities such as pools and private cinemas this is reflected in the affordable price point. Community spirit will be bolstered by the inclusion of a regenerated school, with landscaped walkways ensuring a pleasant environment within the neighbourhood. Of course, the nearby railway will always be a cause for additional noise, but with the highly accessible transport links, many buyers will accept this as an inevitable hindrance, and triple glazing ensures this is only an issue outside. Within the Battersea Exchange apartments, buyers are given a relatively clean slate from which to work from and put their own stamp on the decor. In the kitchens, Silestone worktops and breakfast bars deliver a sleek contemporary appearance, while integrated dishwashers, fridge freezers and wine chillers ensure every need is catered for. Bathrooms include full height tiling and chrome fittings, with underfloor heating and towel radiators for optimum comfort. 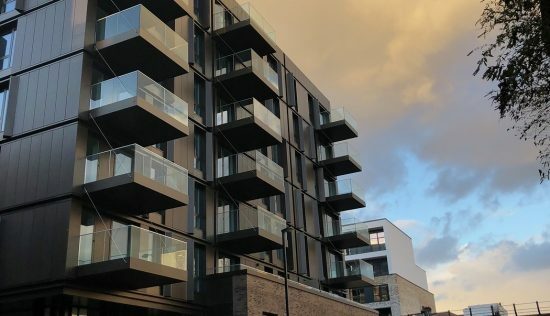 Throughout the rest of the apartments, there are engineered timber floor in the main areas and a fitted carpet in the bedroom(s), and doors opening out onto a balcony, winter garden or terrace. Are they the most luxurious apartments youll see? Not exactly, but the interiors can be modified to your particular standards when purchased. Buyers might also consider Prince of Wales Drive and Nine Elms Point in this area.